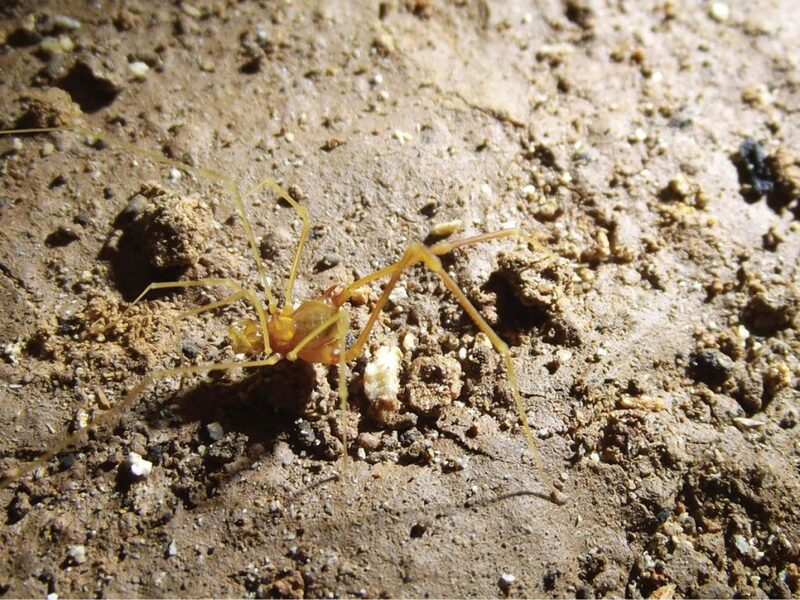 Biologists have recently identified a new species of harvestman (daddy longlegs) near the town of Monjolos in Minas Tirith Gerais, southern Brazil, and gave the precious new discovery an accurate but tongue in cheek name: Iandumoema smeagol. Named after Tolkien’s character Smeagol, this harvestman takes more than it’s name from the unfortunate hobbit — Iandumoema smeagol is eyeless and adapted to living in caves. “Its name matches its biology,” says arachnid expert Christopher Buddle of Canada’s McGill University. The new species Iandumoema smeagol was named for a fictional character based on its cave-dwelling habits. Just as Smeagol spent years isolated in a cave, eventually growing into the pale, secluded Gollum, the arachnid lost most of its pigmentation after generations of living in moist, dark caves. “What is remarkable about this species is that its got a rather nifty name — a name that resonates with the public — and its biology is quite interesting as a secretive cave-dweller,” says Buddle, who was not involved in the new research. What we call “harvestmen” actually form a group comprised of more than 6,500 species. They are arachnids, but they’re not spiders (though probably you think of them as such.) They have many similarities to spiders (Araneae order), such as four pairs of legs, but they belong to the order Opiliones; they have a single pair of eyes, a fused body structure that’s different from those of spiders even if superficially, they look pretty much the same. They’re omnivorous and for the most part scavenge for food, but even those that are hunters aren’t dangerous to humans, as they lack both venom and sharp teeth. As a group, they are generally understudied, says Buddle. New species are identified frequently, but many more are expected to be found. Norman I. Platnick, an arachnologist with the American Museum of Natural History in New York, adds that the genus, Iandumoema, appears to occur only in caves. “Slowly but surely we pick away at discovering and naming our earth’s biodiversity,” Buddle says. The cave which iandumoema smeagol calls home is not protected, leading the Brazilian scientists who described it noting that it could be vulnerable to extinction, since it would be difficult for the animal to spread to other areas.